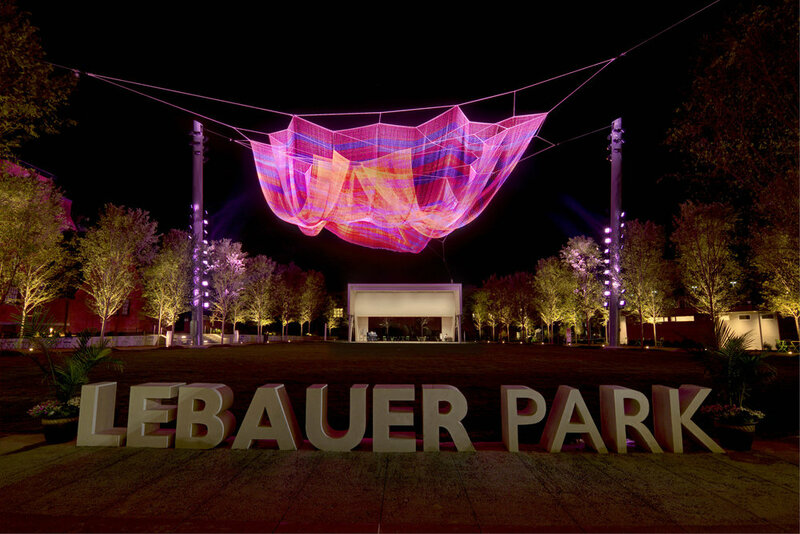 Janet Echelman was selected to design an iconic sculpture to anchor the new LeBauer City Park in downtown Greensboro, North Carolina. 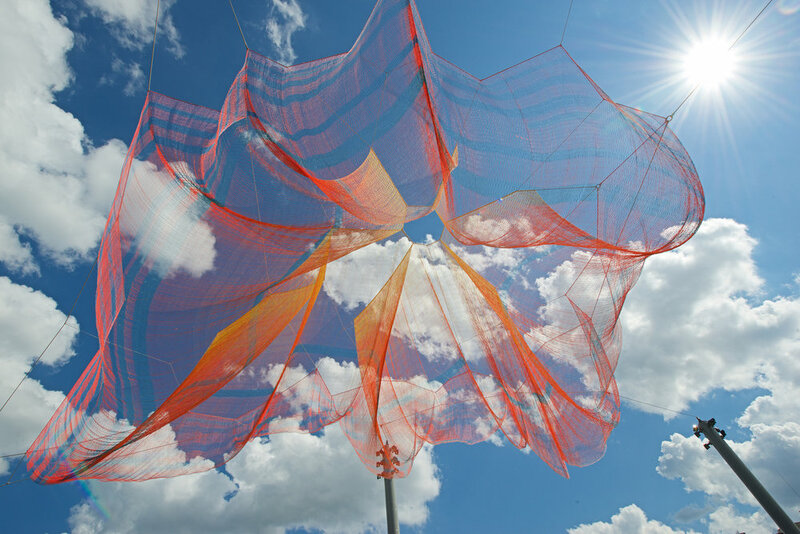 The monumental sculpture is composed of 35 miles of technical fibers crafted into 242,800 knots which gently pulse in breeze, creating an ephemeral presence in the sky above the new city park. The commission was led by a $1-million grant from the Edward M. Armfield, Sr. Foundation, which commissioned The Community Foundation’s Public Art Endowment to manage and execute the project. 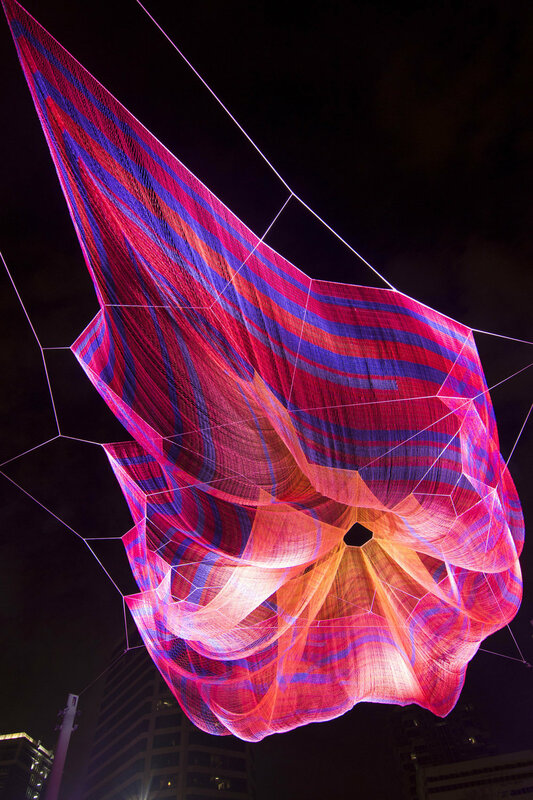 They searched for an artist to give visual form to the history of Greensboro and the textile tradition of North Carolina, and selected Janet Echelman. 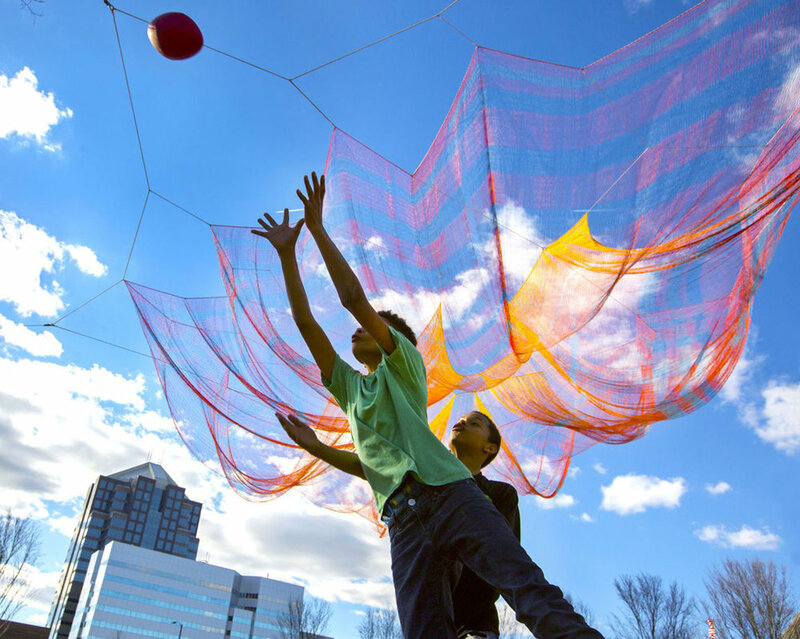 The sculpture spans 200 feet between 60-foot-tall masts, each bearing up to 6 tons of force. 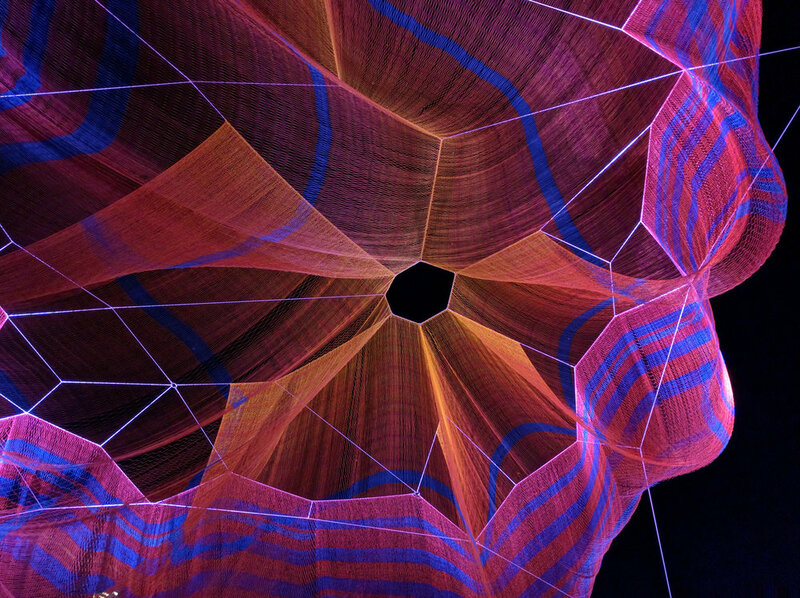 Designed to withstand the accumulated effects of sun and wind over time, the sculpture is composed of fibers fifteen times stronger than steel by weight, with exceptional colorfastness and 100% resistance to UV radiation.